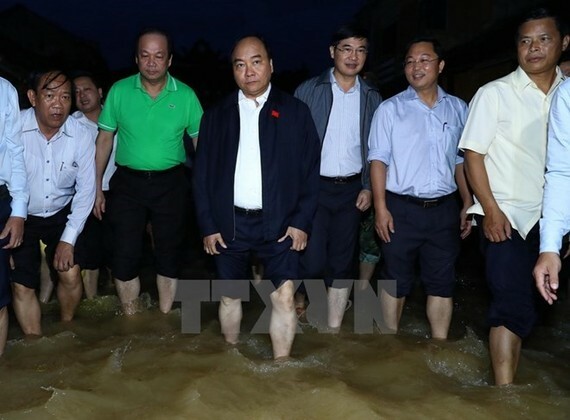 Prime Minister Nguyen Xuan Phuc has urged concerted efforts to help flood-affected people in the central province of Quang Nam amid complicated developments of floods and rains. During a working session with leaders of Quang Nam province and Hoi An city on November 7, PM Phuc asked the local authorities to actively work out rescue plans, ensure food for residents, and help them stabilise their lives. He urged relevant sectors and agencies to mobilise all possible forces, including army, police, youths and organisations to help locals overcome damage caused by floods and rains, particularly houses and schools. 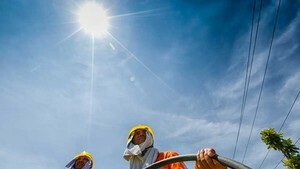 The PM instructed Hoi An city to take drastic measures and to ensure hygiene of the post-flood environment to serve activities within the framework of the APEC 2017 Economic Leaders’ Week. Caution should be exercised when dealing with flooded key relic sites in Hoi An ancient city, he noted, adding that the preservation work needs to be accelerated to ensure early resumption of the damaged tourism sites. After visiting a number of deeply inundated areas in Hoi An city, PM Phuc visited and presented gifts to several local heavily-affected households.